The .AC.KR domain extension is intended to be used by institutions of higher learning. Korea is broken into two parts; the Republic of Korea (or South Korea) and North Korea. It is in the top five countries in Asia with the greatest economy and in the top fifteen in the world. It is a peaceful nation, despite ever-growing tensions in North Korea. The Korean Domain Name .CO.KR is intended for all websites related to South Korea. A .CO.KR Domain Registration is a perfect way to expand your business in this ever growing country. .CO.KR Domains will prove your commitment to the Korean people and culture. Requirements : Reserved for educational institutions established according to the Framework Act on Education, the Higher Education Act, or other special Acts. Copy of organization license showing you are a academic and educational institution in South Korea. Approval of the head of institution required. Description: .KR Domains are intended for businesses and individuals interested in expanding their brand or service in South Korea. Wheth.. Description: South Korea is a highly developed country in eastern Asia. South Korea’s population of over 50 million people has the high.. Description: -.xyz is an affordable, mass market unrestricted domain extension that brings choice, accessibility, and innovation to every.. Description: South Korea is a highly developed country in eastern Asia. South Korea’s population of over 50 million people has the highes.. 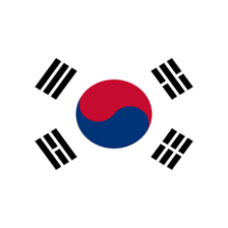 Description: .OR.KR is the country code for the Republic of Korea. Korea is broken into two parts; the Republic of Korea (or South Kore.. Description: South Korea is a highly developed country in eastern Asia. South Korea’s population of over 50 million people has the hi.. Description: .SEOUL.KR Domain names. South Korea is a highly developed country in eastern Asia. South Korea’s population of over 50 million ..